Amazon is an excellent place to find a wide range of products. Unfortunately, it’s also become a place where vendors sell cheap imitations. Currently, there are numerous imitations of DogLeggs™ available on Amazon. These products do not offer the same features and quality as the official DogLeggs™ products available on our website. These imitations are made from cheap materials and are not properly constructed to support your pet. Many people opt to purchase imitations in an effort to save money. However, they quickly find that these products are inefficient and do not provide the padding and support needed to relieve their dog’s discomfort and help them heal. 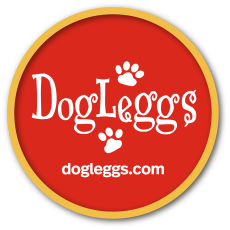 The only place to purchase high quality DogLeggs™ products is through our website. We pride ourselves on high standards and strive to offer our customers a superior product. Don’t be fooled by the imitations available on Amazon. If you want something that will last and actually help your dog heal, invest in official DogLeggs™ products. DogLeggs™ products are designed to support and heal pets. Our products can be used to treat and provide support for dog’s suffering from a number of conditions including elbow and ear hygromas, elbow dysplasia, osteoarthritis, carpal instability, and more. Veterinarians recommend our products because of their high quality and durability. Every product we offer is custom-sized to ensure the proper fit. DogLeggs™ products provide an effective alternative to traditional bandages. These products provide support and padding in all the right places. They are designed for easy application and removal. All DogLeggs™ products are machine washable and built to last. Our products are available for a wide range of conditions. Although some require a prescription, most can be purchased on our easy-to-use website. When purchasing our products, you will be asked to input your dog’s measurements. This helps us provide a product that is guaranteed to fit your pet.